On Saturday, June 11th, Biography Channel’s My Ghost Story featured one family’s story of their encounters in the Crescent Hotel…located in Eureka Springs, Arkansas. The family visits the Crescent Hotel every year but on one particular visit they experienced several unexplainable events. You should watch the episode and hear them recount their story but I wanted to mention just one of their encounters here because based on my research, there may be some historical record to back up one of their encounters. 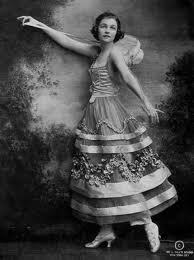 In the early 20th century, there was a famous dancer by the name of Irene Castle. She and her husband Vernon appeared on Broadway, popularized social dancing, and were even the subjects of a Hollywood movie, The Story of Vernon and Irene Castle (starring Ginger Rogers and Fred Astaire). Irene was a beautiful woman and quite socially progressive. She traveled with an all African-American orchestra, had an openly lesbian manager, and was one of the first in the United States to speak for and support animal rights. Irene Castle was so admired, that women all over the world copied her dresses and even her hairstyle (she was one of the first to “bob” her hair). After the love of her life, Vernon, died in a tragic accident she remarried and reinvented herself several times and when she entered her golden years, she and her husband at the time retired to Eureka Springs, Arkansas where she enjoyed her dogs and the last of her life. She passed away in Eureka Springs on January 25, 1969. Her home was located just behind the Crescent Hotel. Irene was a driven and deliberate person who loved dancing and loved life. Perhaps her spirit lives on…sharing her passion and principles with a new generation. The 1886 Crescent Hotel, a member of the prestigious National Trust’s Historic Hotels of America, is also known as America’s Most Haunted Hotel. Whether you believe in ghosts or not, you will enjoy the Crescent Hotel. 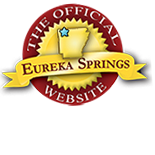 This mountaintop resort hotel has a lot to offer as does the entire little mountain town of Eureka Springs, Arkansas. The Crescent Hotel offers nightly tours and ghost stories. Get your tickets online here. This entry was posted on June 13, 2011 by estcblog in Crescent Hotel, Ghosts, Things to Do and tagged America's Most Haunted Hotel, Arkansas, ghosts, historic hotels, history.